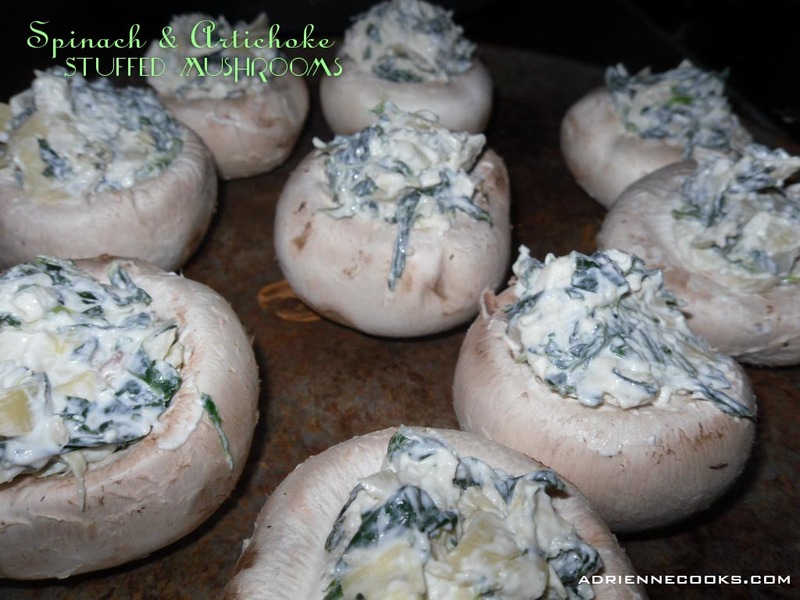 Spinach and Artichoke Stuffed Mushrooms or Spin Dip ‘Shrooms – GF & Low Carb! Love spin dip but trying to go low carb? Me too! Here, try these! I have made my Spinach and Artichoke dip too many times to count. I absolutely LOVE it. Trying to eat low cab means not stuffing my face with too many pita chips though, so I came up with this. I also really like mushrooms. The best thing about this? I actually stole this small amount of filling from my dip recipe, baked the dip like normal and took it to a party and had these for dinner just for me! I used about 1/8 of the dip to fill 9 mushrooms. If you want to make both, great! 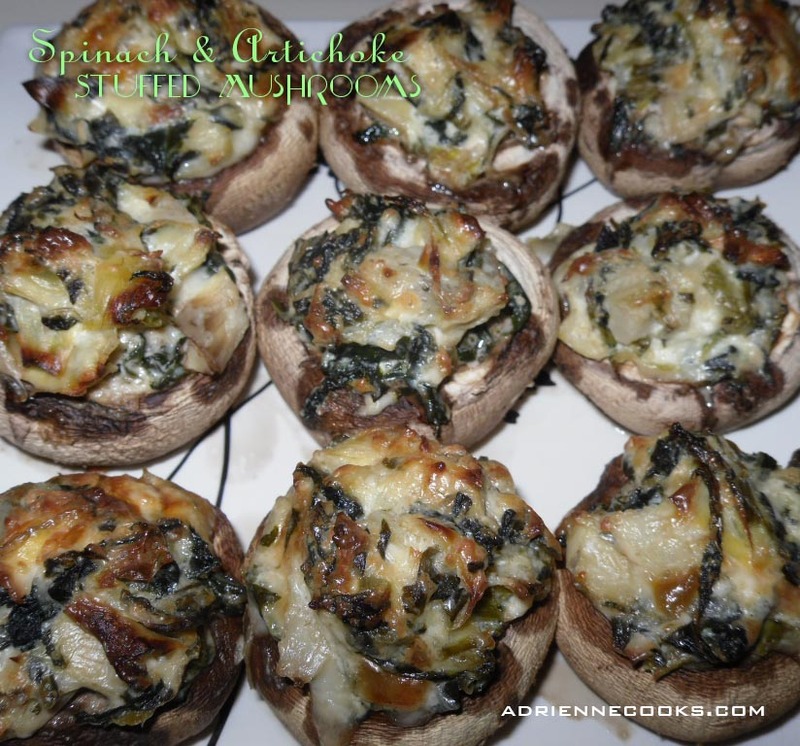 If not, you’ll need 64 mushrooms to use all the spinach artichoke filling. Prepare the filling as directed but in a mixer bowl (since it doesn’t need to bake in a dish). Clean and de-stem your mushrooms. Place 2 teaspoons – 1 tablespoon of filling in each cap. Place on baking sheets close but not touching. Bake for 20 – 30 minutes. You want the filling to melt into the caps but the caps to not be dried out. Wait a minute or two for them to cool and then devour! Om-nom-nom.